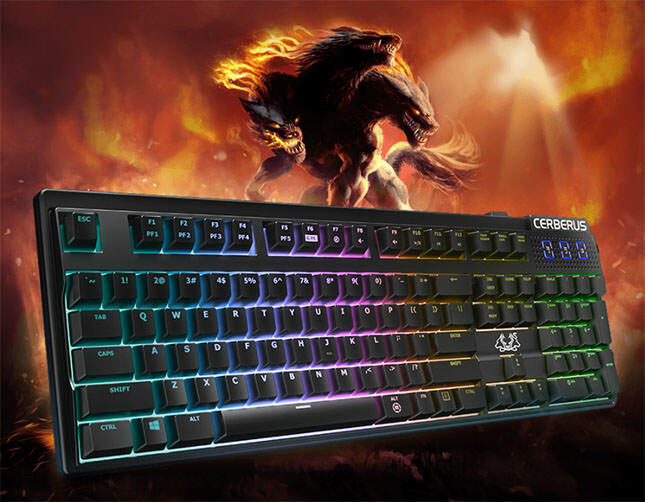 ASUS Cerberus Mech RGB is the latest gaming keyboard in the award-winning Cerberus series. 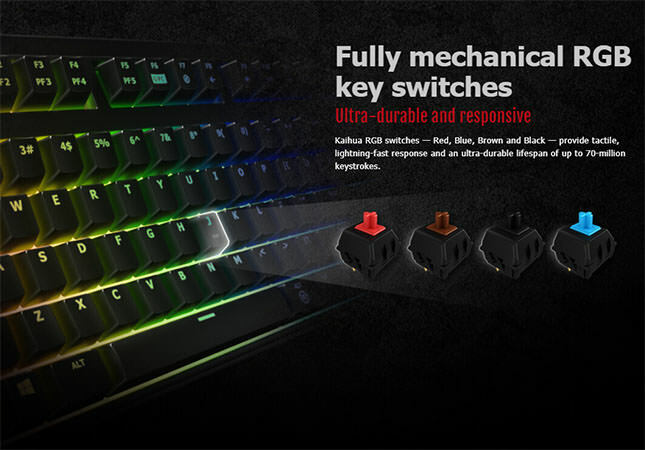 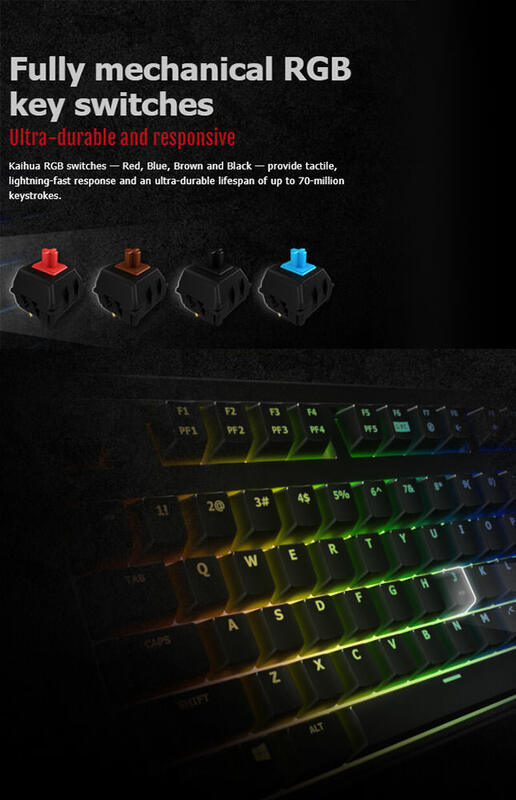 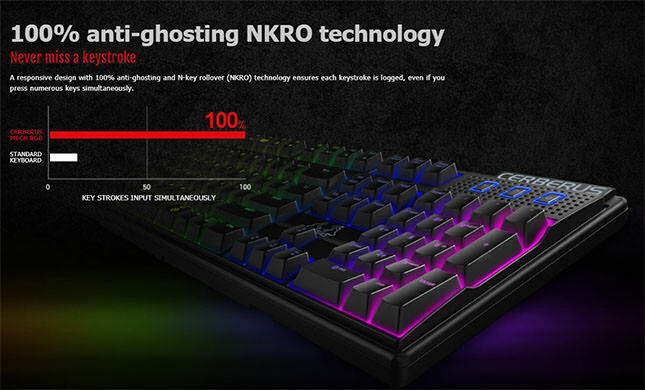 Built to satisfy avid gamers' needs, Cerberus Mech RGB was designed with loads of high-performance features, including durable, 70-million-keystroke-lifespan mechanical switches that stand up to the most intense action, and dedicated hot keys for executing macros and more while gaming. 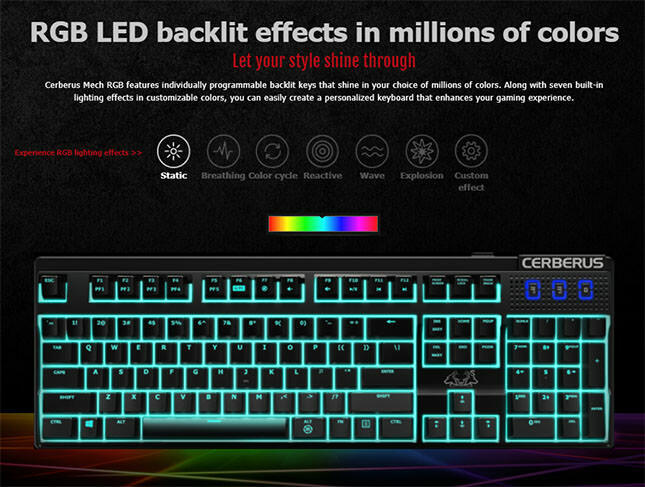 Customizable RGB backlighting effects shine in millions of vivid colors, letting you tailor Cerberus Mech RGB to your own individual style.